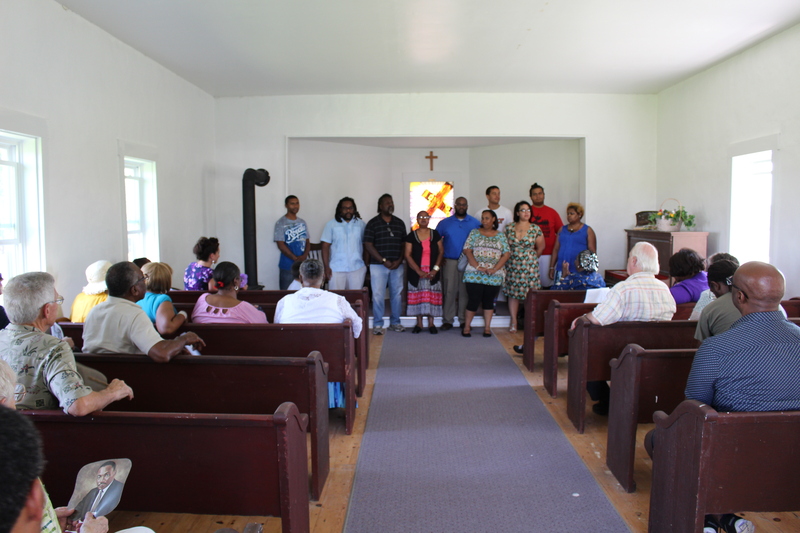 According to tradition, friends and descendants of Pennytown will once again gather to share food, fellowship, and worship on the first Sunday of August. Please join us on August 7th for our annual celebration of family, community, and heritage. This year’s special guest and speaker will be Bro. Larry McCall of the First Baptist Church of Webster Groves, Mo. Festivities will begin at the Pennytown Freewill Baptist Church, located just off of Highway 65 between Marshall and the 1-70 junction (see “Directions” tab above). Services will begin at the church at 11:00 am. Then join us for a delicious meal ($5.00 donation) and fellowship at 12:30 at Martin Community Center (1985 S. Odell, Marshall, Mo). This event is open to the public and all are invited. 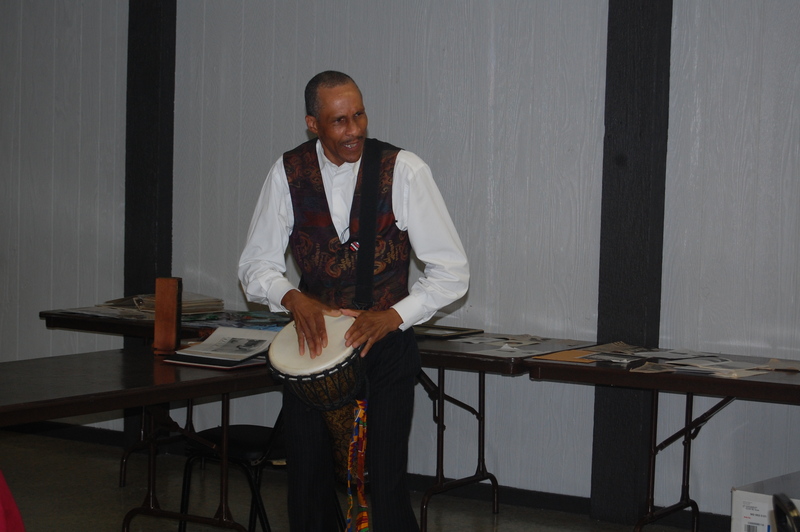 Descendants and friends of Pennytown will be honored to welcome any and all to join us! 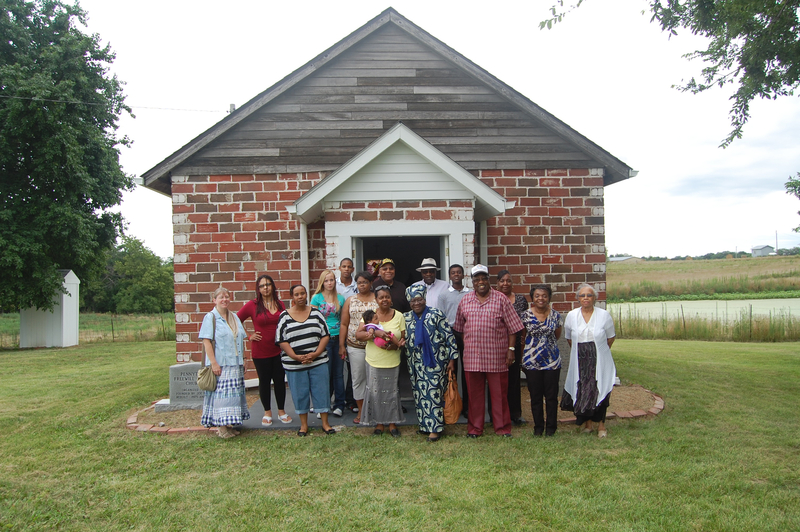 Pennytown Freewill Baptist Church – 2014. Pennytown Homecoming 2015 was a great success. We thank our family and friends for a gracious offering of $824. This money will help us to pay our insurance for the church and will also help us to continue making improvements to the Pennytown Church historic site. We are blessed to have such generous support for Pennytown! Thank you all. Special thanks to Brother John Anderson and Maxine “Queen Mother” MacFarlane. Brother John Anderson delivers the message. 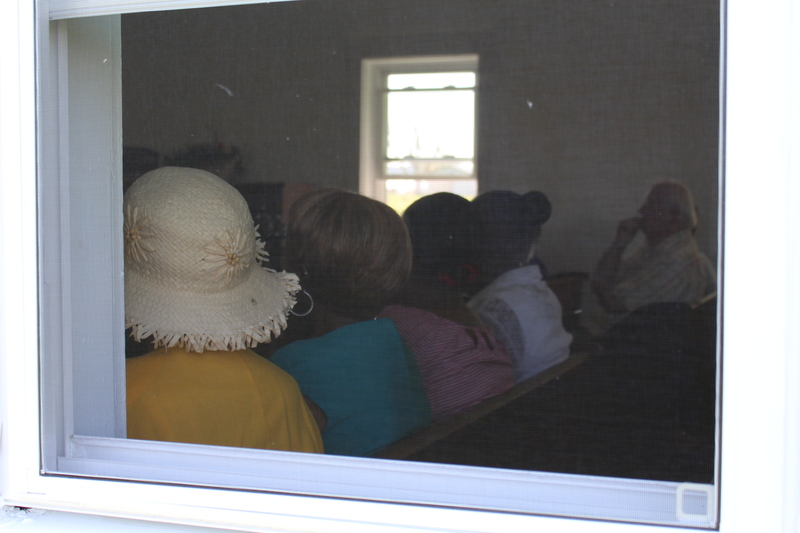 Congregants seen through newly installed church windows. 2015 Pennytown Homecoming is fast approaching. it will be held on Sunday, August 2nd. 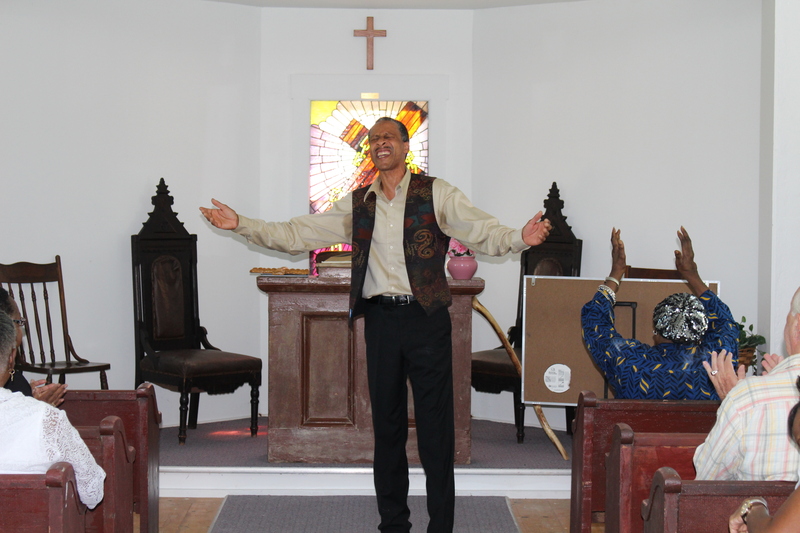 Festivities will begin at the Pennytown Freewill Baptist Church which recently received all new windows thanks to a generous donation from Pennytown descendent Jon Lawrence. 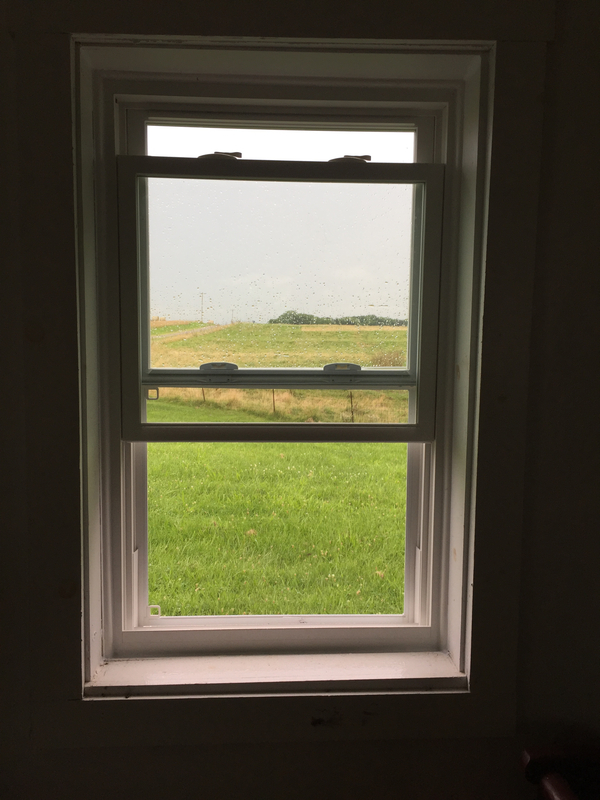 The windows were installed by Mike Meyer of Nationwide Construction in Independence, Mo, with help from Book Lawrence, Ron Lawrence, Trevor Lawrence, and Mike’s son Hayden. All labor for the installation was volunteered. The new windows will help to preserve the church for many years. 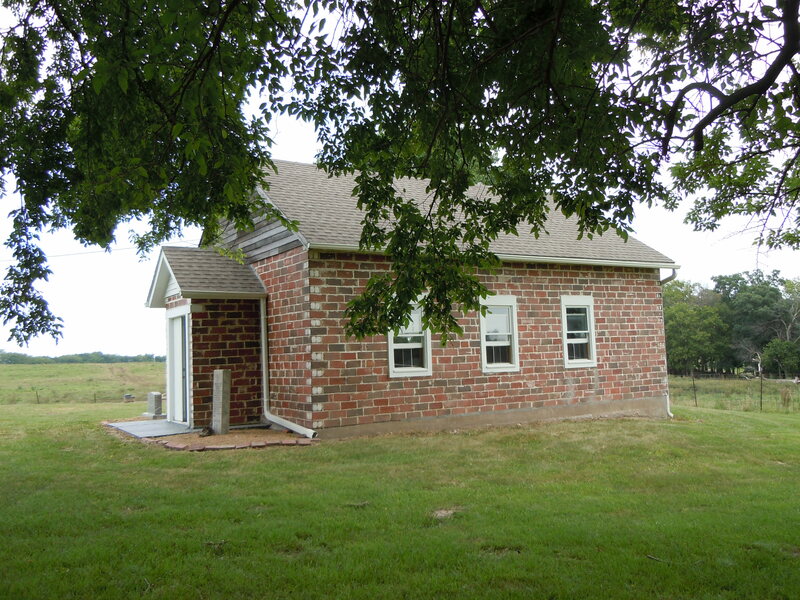 We thank all who have made donations toward the preservation of the Freewill Baptist Church, the last remaining structure in Pennytown. 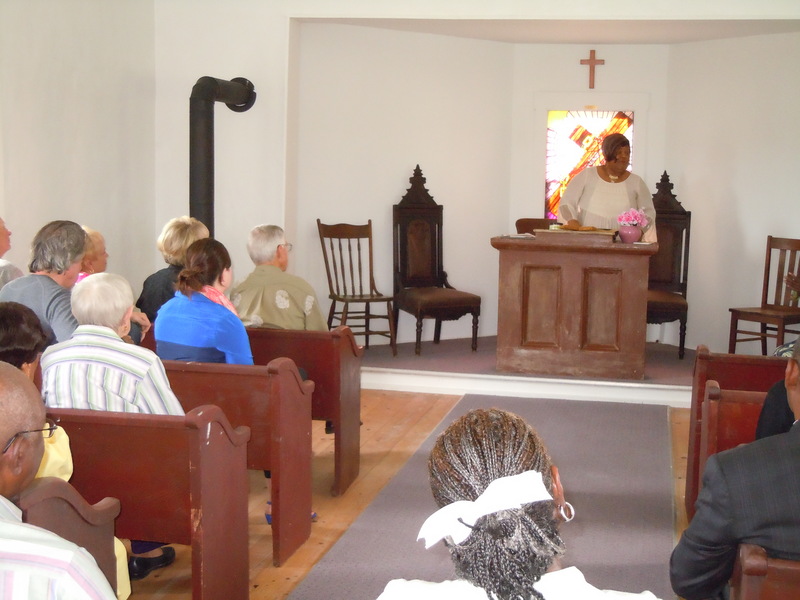 Maintaining the church is a priority and is essential for the ongoing success of the historic site. We can’t wait to see all our family and friends at Homecoming this year so come on out on the 2nd and see the church in all its refurbished glory! 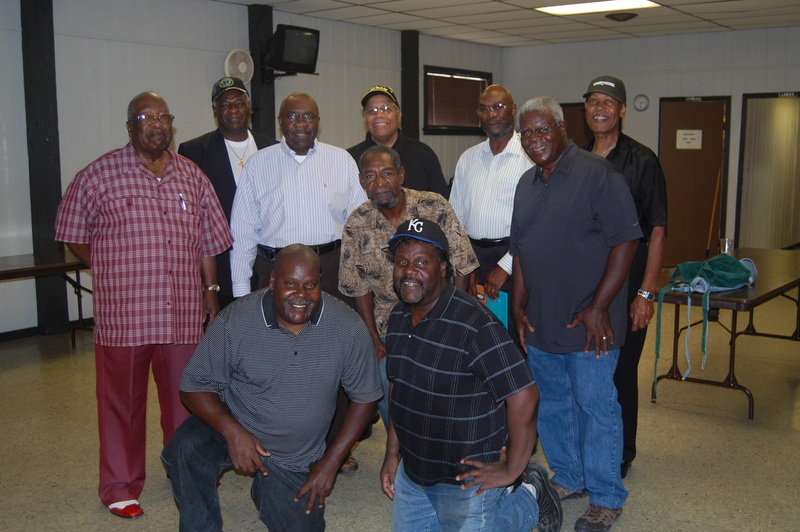 Once again, Pennytown Homecoming was a special time to gather with friends, family, and loved ones. We thank all of you who came from far and wide to worship, share, and break bread with us. 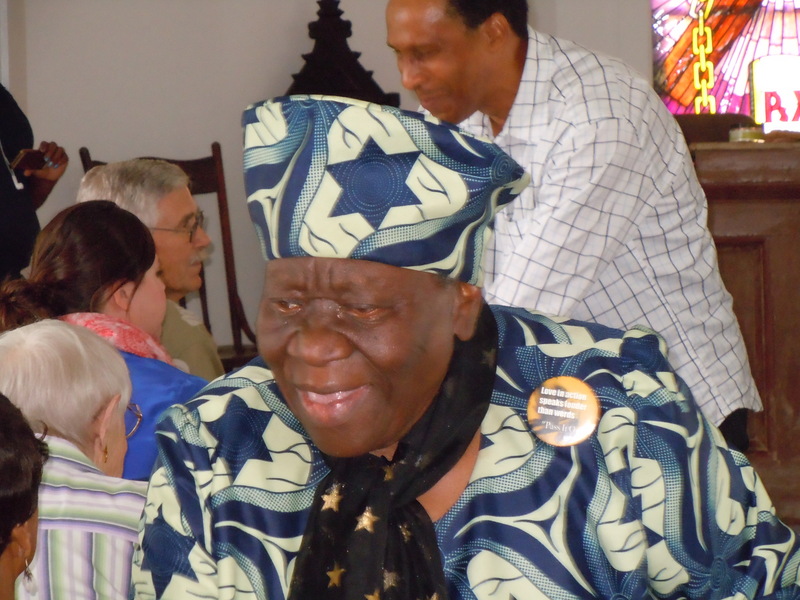 Family is important — it is one of the most important reasons we continue to celebrate the legacy of Pennytown. We think of you who joined with us as our extended Pennytown family and we look forward to seeing you next year on Sunday, August 2nd. Peace and blessings. Evangelist Evelyn Elmore delivers the Homecoming Sermon. Br. 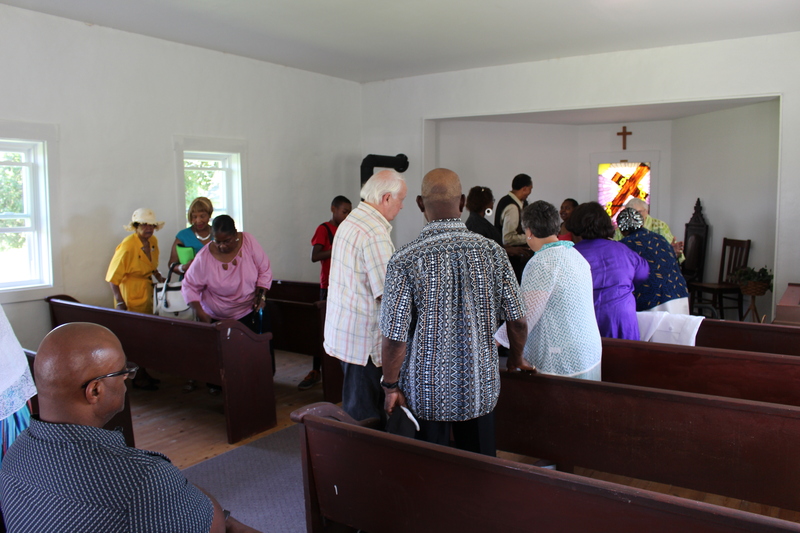 John Anderson and Evangelist, Maxine “Queen Mother” McFarlane greet the congregation. 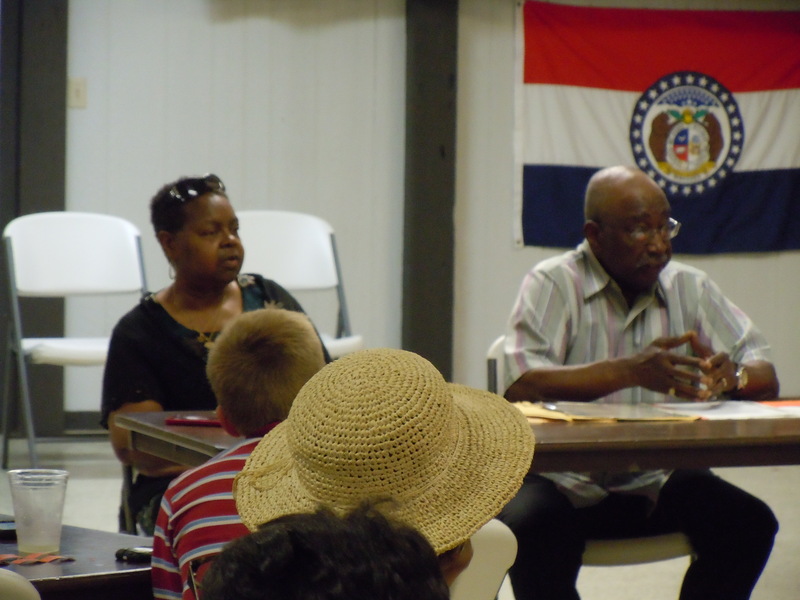 Charles “Pete” Alexander speaks about family lineage (Virginia Lawrence looks on). 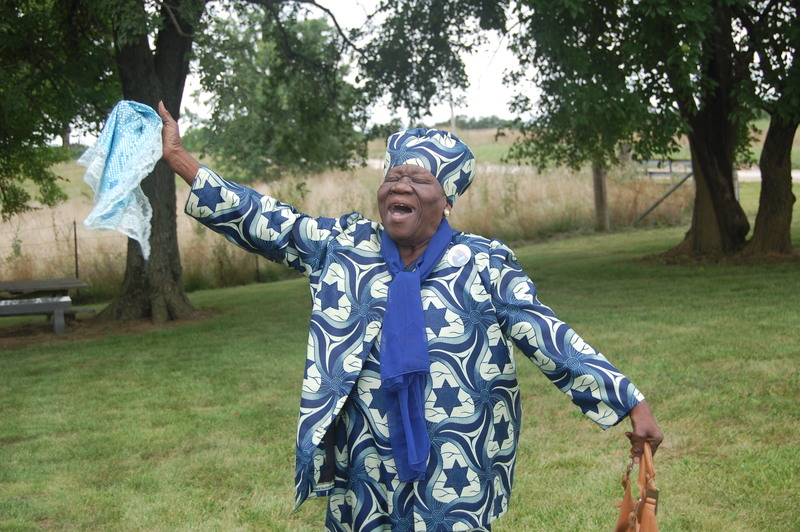 This year’s Pennytown Homecoming celebration will be headlined by entertainer, singer, and messenger of God, Evangelist Evelyn Elmore of St. Paul Baptist Church in Higginsville, Mo. Services at Pennytown Freewill Baptist Church will begin at 11:00 am. We invite all to join us to hear her inspiring message. It will be an experience you do not want to miss! Lunch will be served at 12:30 pm at the Knights of Columbus Hall in Marshall, Mo (1267 S. English).